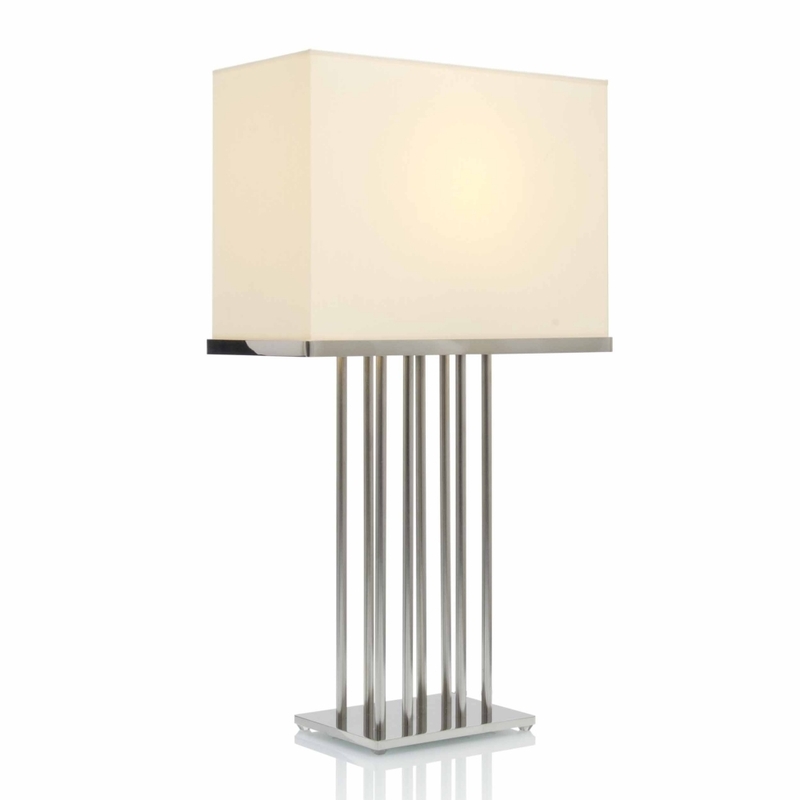 Wonderfully classy table lamp which would look great in any setting. The Evora has stainless steel pillars as its base and comes complete with cotton shade with stainless steel around its bottom. Please contact us for finish options.